Welcome to FrankWealth.com: Before You Launch Your eCommerce Website (Online Store) - Read This! Before You Launch Your eCommerce Website (Online Store) - Read This! ‎Hi, I remain my humble self, Frank. It's been a while, I am sorry for keeping you guys waiting for too long without penning down anything to keep you guys going. 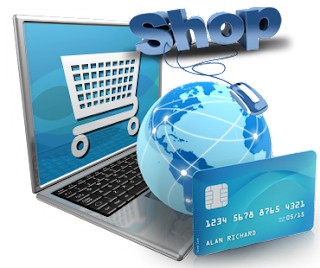 Today, I want us to discuss an interesting topic that bothers around ecommerce website or what many of us know as online shop. I know that whenever an American person hears about online store, the first thing that runs to his or her mind is Amazon or Ebay, just as konga and jumia are the first name that comes to the mind of a Nigerian when you mention online shop. Now for those of you who may not know, I want to let you know that ecommerce business is one of the hottest business in town now, and will remain viable till the next 2 to 3 decades, and you know why? Simply because buying and selling are the bedrock of human existence. As someone who ‎owns a successful online shop (not as successful and popular as Jumia, Konga, Dealdey and Kaymu though), I want to share some secrets of what to do and what not to do as an entrepreneur that owns an online store or one aspiring to own one. If you pay attention to the things I will be revealing to you now, you will not only save money, but will learn how to start a successful eCommerce business at a very minimal startup capital. And for those who have capital to invest in an existing online store, you can contact me...if you also have a product to sell, and you are sure your product(s) are of good quality and you want to reach more buyers, you can also contact me for a sales promo deal based on commission per sales. Don't pay for visitors - targeted or not - they will never bring you sales or potential buyers! Don't Buy Social Followers - Most won't be real or won't be vested in what your store is selling. Don't do solo ads (through services) - Only do your own opt-in email lists! Don't start an e-commerce store and think customers and sales will come just like that. It does involve some work, so prepare to attract the customers to your store. Don't sell counterfeit or low quality products at the start; make sure every buyer is satisfied with buying from your store even if you satisfied the buyer at a loss. Don't start off selling everything! Chose a niche and make a name in a particular niche and then you can diversify. Don't pay a fortune to start an e-commerce website! Many companies spent thousands and years later still were not selling much if anything! There are great free options to get you started, and many can grow you to a 6 digit + business! Open Cart and Woocommerce (works with wordpress) are just a few of some great affordable options. Make sure you have good suppliers you can trust! If you are dropshipping.....I would advice you avoid any websites that make you pay for a membership! Most websites like that do not give you enough margin to make enough money after the fees you pay, and most are not true wholesalers but arbitrators! Search hard and try to find actual manufacturers or distributors that are willing to work directly with you. Real wholesalers will normally request your sellers permit and/or other business credentials. Make sure your website, categories, pages, and products have unique and seo optimized listings! Update your main page often! New products, sales, and blog posts are great things to update on your main page. It will keep search engines coming back because your website is always changing. This will help your search ranking as well. Find other websites (blogs in your niche, coupon and shopping websites/forums) that you can post guest blogs or info on sales or coupons you are offering. Run sales often! Start an email list! There are some great services that can start you for free and are still affordable when you grow bigger! I recommend 'Mail Chimp'! Google and Bing Ads work! You must start with a small budget and choose keywords that aren't generic or over used (by bigger companies with more money than we will ever see) and be patient. Try different keywords and campaign ads. As you start to grow, you can increase your marketing budget! I will drop my pen here for now, if you have any question, inquiry or need help setting up your own online store to sell your products, don't hesitate to contact me. Excellent article. This is very useful. Thanks for sharing.